The family of a Virginia man is relieved after learning that their loved one and his girlfriend are safe after an Italian cruise ship ran aground. Rick Langland and Karen Kennedy left for their Italian vacation last Thursday. 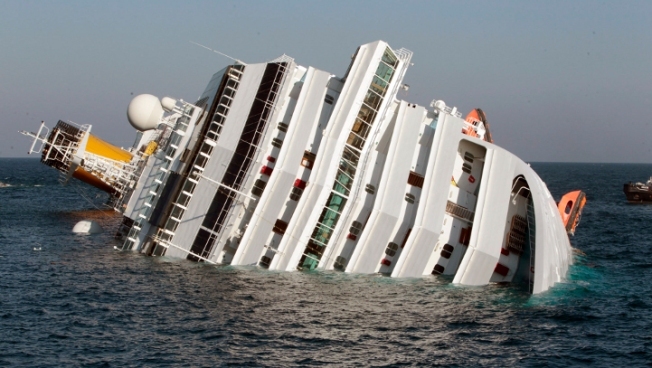 That vacation came to an abrupt end when the Costa Concordia hit a reef off the coast. Thankfully the couple was able to make it onto a life boat and to safety. The very next thing they did was call Rick's mother in Virginia Beach. His mom, Ione, then turned on the TV and watched the scene unfold on her Italian satellite channels. Then, Rick and his girlfriend contacted the US Embassy and obtained emergency passports and returned to New York. "He said he couldn't get into it at the time being. He was on a temporary line through the embassy that just gave him time to call home," said Peter Langland, Rick's brother. The Langland family knows Costa Cruises very well. The family has taken more than 20 trips with the cruise line.